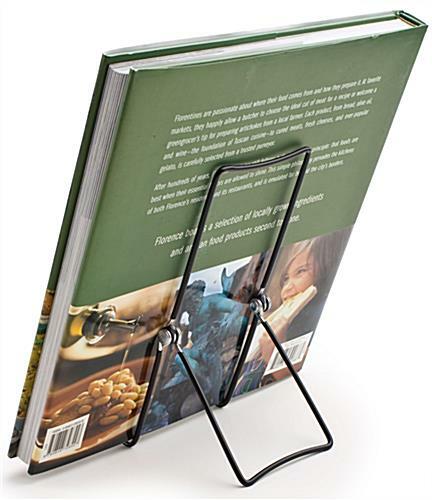 This simple wire counter easel is an ideal folding fixture for displaying books, decorative tiles, boxed jewelry, video games, ceramic art pieces and much more. 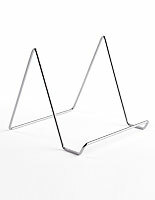 This tabletop portable display stand has a triple wired design for extra support on tall items, such as serving plates or framed photos. 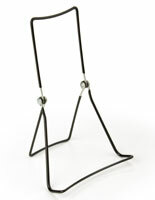 A folding display, black wire counter easel increases the visibility of merchandise to attract customer attention. 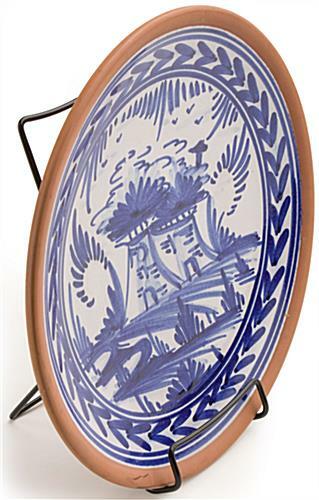 This type of lightweight stand can showcase collectibles, commemorative plates, books, and more in stores, showrooms, or at trade shows. 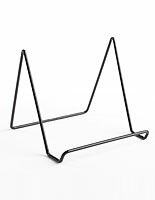 This tabletop or counter easel provides the perfect economy display for libraries, museums, bookstores and retail stores. 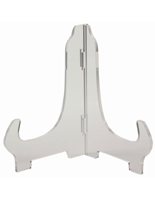 This accessory can be adjusted to any angle to accommodate artwork or merchandise. 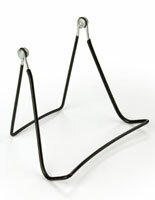 This wire counter easel is the perfect tabletop fixture for use inside curio cabinets, trophy cases and tower showcases. 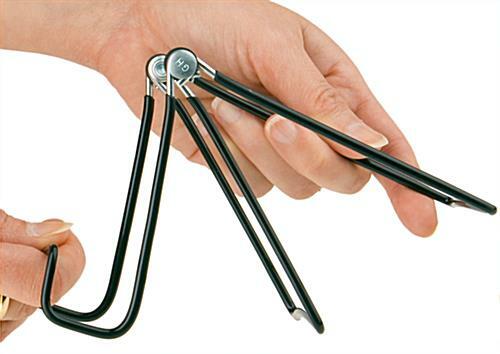 The wire construction features a black vinyl coating to match any setting. 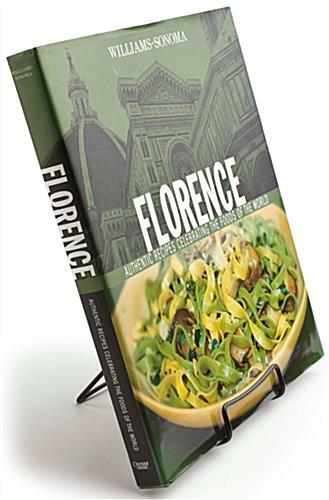 A lightweight, portable counter easel is a great marketing tool for book signings, cookware demonstrations, or other special promotional events. 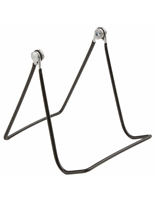 This black folding stand includes a 1"h lip to secure displayed items. 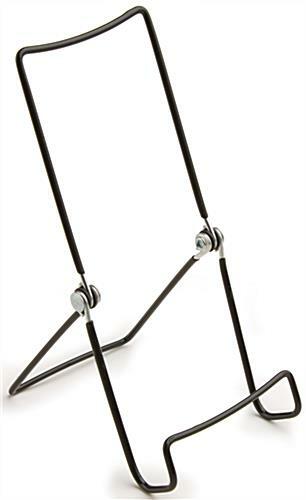 The easel can be folded for ease of portability and storage.